With Halloween mere days away, the sidewalks will soon be filled with costumed revelers young and old. And it's an election year, so some costumes will he scarier than usual. No doubt, there will be a few Women in Binders and some Big Birds wielding bayonets. But if your plans involve something less topical and more traditional — say, staying in to hand out treats or hosting a party for a few of your fiends, er, friends — perhaps a scary movie is more your speed. You're in luck. For here are chills of all sorts. The best Halloween party films are the ones that combine plenty of scares with a healthy dose of dark humor, and three meet that standard perfectly. 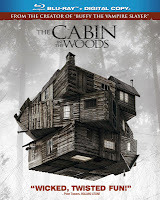 "The Cabin in the Woods" (available on DVD and Blu-ray, and currently at Redbox) is from writer/producer Joss Whedon ("The Avengers") and writer/director Drew Goddard, and it's one of the year's best films, period. This time, our college-student heroes/victims aren't just the unlucky targets of evil, pain-worshiping redneck zombies. They serve a higher purpose — and that's where the real fun comes in. "Cabin" owes a lot to an earlier film, Sam Raimi's classic from 1987, "Evil Dead 2: Dead by Dawn" (DVD, Blu-ray, Amazon Instant) starring Bruce Campbell ("Burn Notice"). 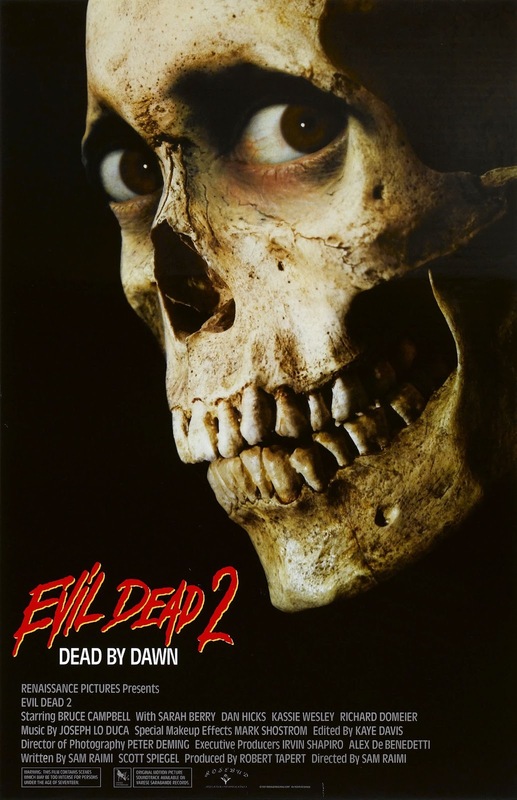 The ultimate horror comedy, "Evil Dead 2" pulls no punches. After taking time out for the "Spider-Man" films, Raimi returned with another slapstick horror movie, 2009's "Drag Me to Hell" (DVD, Blu-Ray, Redbox) which pits Alison Lohman against a Gypsy curse and the same physical-comedy terrors that plagued Campbell 25 years ago. Now, if you prefer your scary movies straight, no chaser, then give a look to "Halloween III: Season of the Witch" (DVD, Blu-ray, Amazon Instant). Unfairly derided because it doesn't feature Michael Myers, "Halloween III" (1982) was an attempt to turn the "Halloween" franchise into an anthology series. The film sees a sinister cult using science rather than magic to target the nation's children on Halloween night. It's like one of those Halloween conspiracy theories come true. No Halloween is complete without a trip into the mind of one of America's greatest writers of dark fantasy and horror, H.P. Lovecraft. "The Resurrected" (DVD, Netflix Instant) from 1992 is a reasonably faithful update of Lovecraft's "The Case of Charles Dexter Ward," about a man (Chris Sarandon) delving into the supernatural in order to resurrect his sorcerer ancestor. This is a surprisingly scary effort by the late director Dan O'Bannon, and it'll have you thinking twice about going into basements. Not every Lovecraft adaptation is so respectful, and 1970's "The Dunwich Horror" (DVD, Netflix Instant) starring Dean Stockwell is more fun for its cheese value than its shock value. Speaking of cheesy horror movies, they don't come much cheesier than 1975's "The Devil Within Her" (DVD, Netflix Instant) starring a pre-"Dynasty" Joan Collins as a woman who gives birth to a demonic child, which proceeds to terrorize her for the rest of the film. This one also stars Donald Pleasence ("Halloween"). If you can't get enough cheese, Hulu features 20 episodes of "Elvira's Movie Macabre," and, on a more serious note, all three seasons of Rod Serling's "Night Gallery" TV series. 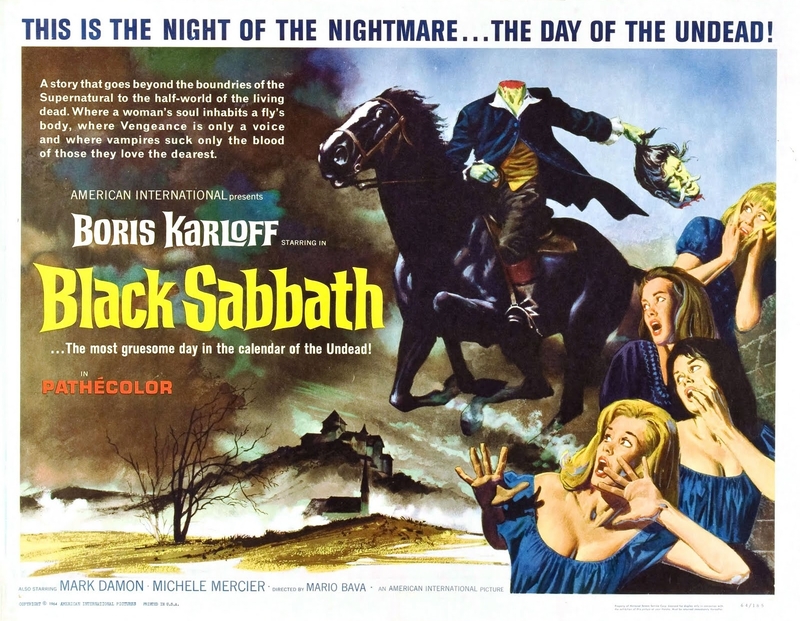 Lastly, for lovers of the classics, there is Mario Bava's "Black Sabbath" (DVD, Netflix Instant) from 1963, starring Boris Karloff. It's two masters of horror giving one masterful performance. "Atlas Shrugged: Part II" is a success on at least one level. It's a marked improvement on "Part I." With a stronger cast, a more experienced director and a larger budget, it almost couldn't help but be a step up from the first attempt to bring Ayn Rand's epic, 1100-page novel to the screen. 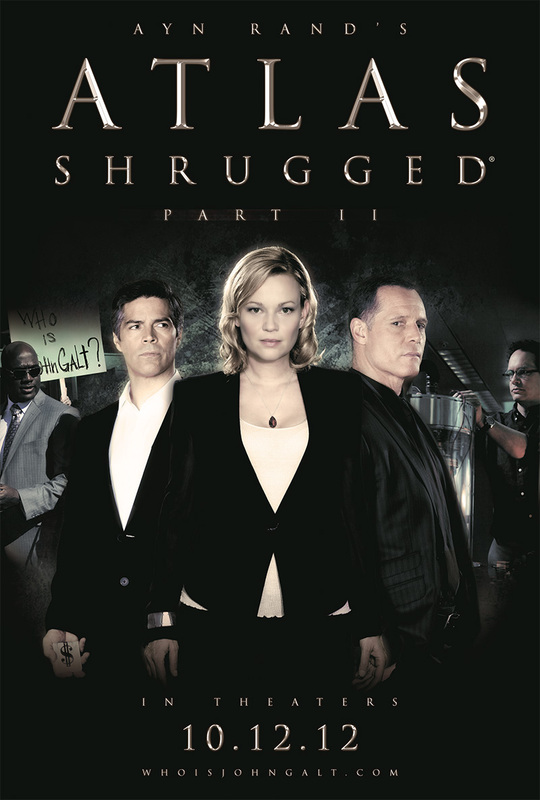 Unfortunately, "Atlas Shrugged: Part I" set a low standard to surpass. So while "Part II" is better, that's like saying a SyFy original movie is better than a Lifetime original movie. They're both bad made-for-TV movies, and that's what "Part II" looks like, too. We're left still waiting for an adaptation that can do justice to the sweep of Rand's tale. Picking up where the second third of Rand's novel starts, our heroes, Dagny Taggart and Henry Rearden — now played by Samantha Mathis and Jason Beghe — have thwarted both the government and their jealous, bailout-seeking competitors. Together, Dagny and Henry have opened the John Galt Line, the latest addition to the Taggart rail service, made with rails of light, durable Rearden Metal. They've also discovered, in an abandoned auto plant, an engine that promises access to near limitless energy, if they can find anyone who can figure out how it works. That's the hard part, because the very sort of talented, creative people who might be able to unlock the secrets of the mystery motor are disappearing one by one, abandoning everything they worked years to build. This is the second of three acts, and the situation is about to deteriorate, and fast. Energy prices are soaring, making travel by car and plane too expensive for all but the very rich, which is why trains have re-emerged as a vital mode of transport. And as the economy crumbles, businesses rush to the government seeking favors, while the government, led by Head of State Thompson (Ray Wise), passes more edicts and restrictions each day. The same government science board that once said Rearden's metal was dangerous now says it's a vital resource that must be shared equally among all who want it. It's an America where getting ahead in business, in art, in anything has become more a matter of political pull than achievement. One thing "Atlas Shrugged: Part II" does surprisingly well is bring viewers up to speed with a minimum of plot exposition. You don't need to have seen "Part I" to know what's going on. But Rand's own exposition — especially her characters' lengthy speeches — is the film's undoing. Everything stops cold during the repetitive scenes where characters complain about the government or taxes or their spineless rivals. We get the point. I'm a fan of the book, but even I admit its speech-making can go too far. And what barely works in the novel is a disaster in the movie. Only Esai Morales as the underused Francisco d'Anconia comes close to pulling it off. film in a planned trilogy adapting Ayn Rand's novel. An airplane chase that opens and closes the film is its most thrilling set piece, despite the shoddy special effects. It's the one time the film truly embraces the pulp-fiction sensibility that runs through and ultimately drives Rand's book. The way to approach "Atlas Shrugged" the novel is to recognize that it's essentially a pulp-magazine sci-fi story — complete with sci-fi tropes like a cloaking device and a motor that runs on ambient static electricity — presented as a talky, philosophical Russian epic. Films are primarily a visual medium, so to make "Atlas Shrugged" work as a movie, it has to be more pulp and less talk. If the producers make "Part III," maybe they'll finally get the formula right. But with two box-office duds in a row, "Part III" seems unlikely. So far, the only ones doing much shrugging are the audience. Only in the past decade has Italy's "maestro of the macabre" begun to get the recognition he is due. Throughout the 1960s and into the mid-'70s, Mario Bava's atmospheric films — mostly in the horror genre — played in drive-ins and other disreputable venues. Sometimes they were part of double or ever triple features of terror, dismissed by their distributors as disposable schlock. That's the fate of a working director, which Bava was, grinding out movies on minuscule budgets. He was as much a craftsman as an artist. Bava often was his own cinematographer, and he always handled the bulk of his films' special effects. But he brought artistry to his craft, and that dedication has won him admirers as diverse as Tim Burton, Quentin Tarantino and Martin Scorsese. As Bava's movies began to appear on DVD in their original, uncut versions in the 2000s — two decades after his death in 1980 at age 65 — he began to attract a new audience and renewed appreciation. 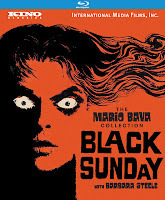 Most of his best films have been released in two DVD box sets, The Mario Bava Collection Vols. 1 and 2. Now Kino Lorber, which released a brilliantly restored version of Fritz Lang's silent masterpiece "Metropolis," is turning its attention to Bava, bringing three of his newly remastered films to Blu-ray for the first time. Kino's releases include Bava's breakthrough film "Black Sunday" (1960) starring Barbara Steele; his most troubled, yet most personal film, "Lisa and the Devil" (1973) with Telly Savalas, Elke Sommer and Italian screen legend Alida Valli; and his 1970 thriller "Hatchet for the Honeymoon." 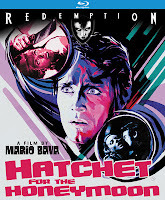 Kino has released "Black Sunday" and "Lisa and the Devil" under its Kino Classics label, while opting to release "Hatchet" under its Redemption horror label. That's understandable because while all are worthwhile, only the first two are true classics. 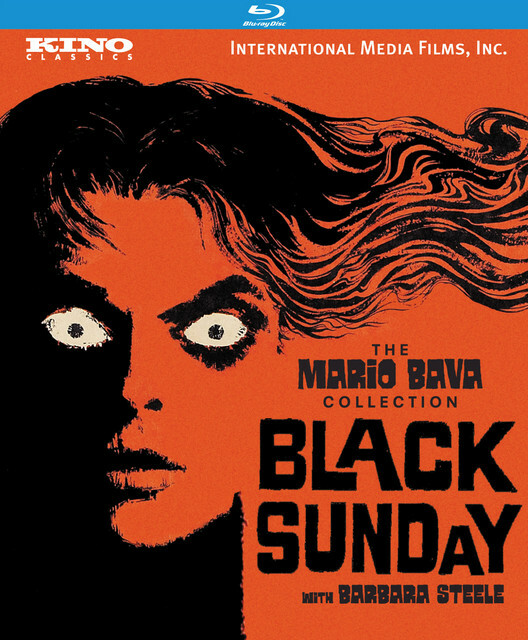 "Black Sunday" is Bava's best known and most influential work, the one you're most likely to see on late-night television, especially at this time of year. It's also the film that made a horror icon out of Steele, whose large, hypnotic eyes convey malice as easily as they elicit sympathy, which led to her more than once playing good and evil twins, including here. On the disc's audio commentary, Bava expert Tim Lucas of Video Watchdog magazine draws our attention to an exterior shot that highlights Bava's attention to detail. The shot lasts a just a few seconds, but it is almost absurdly complex, involving a partial model, matte paintings, forced perspective and in-camera lighting tricks, all engineered by Bava himself. By turns creepy and whimsical, "Lisa and the Devil" is part murder mystery and part ghost story, with a dreamlike plot involving characters who may be dead or may be department store dummies or may be figment's of Lisa's imagination. The story, like the village in which Lisa (Sommer) gets lost, is like an M.C. Escher painting, folding in on itself. And at the center of the proceedings is Savalas, clearly having a ball as the butler Leandro, bemoaning his menial fate while bearing a not-at-all-coincidental resemblance to a fresco of the devil in the village square. This is how Bava's greatest films were meant to be seen, in high-definition glory and looking better than when they were first shown. Sit back, and let the maestro conduct. When "The Master" begins, Freddie Quell is already a broken man. It's the end of World War II, and Freddie (a gangly Joaquin Phoenix) is getting ready to reenter civilian life. Along with a room full of fellow vets, he's told he can do whatever he wants — start a business, go to college, become a farmer, whatever. But his true prospects don't seem as inviting as all that. Freddie appears to suffer from what we today would call post-traumatic stress disorder. Back then it was just shell shock, and if you had it, some people thought that made you less of a man. Directionless and prone to violent outbursts, Freddie is looking for something, but he doesn't know what. Then he meets a man who promises to show him a better way, to free him of the doubts, fears and uncertainties that prevent Freddie from being happy. 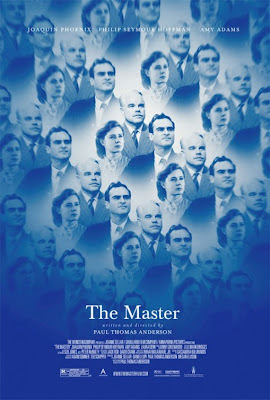 Writer/director Paul Thomas Anderson has said "The Master" has nothing really to do with Scientology, and that's true. While Philip Seymour Hoffman's Lancaster Dodd looks and sounds the part of L. Ron Hubbard, and while his ideas seem a lot like Scientology, especially in its earlier iterations, "The Master" isn't really about any of that. It could be almost any new religion or upstart movement. Dwell on the Scientology similarities, and you miss the real story, Freddie's story. And his story is easy to miss, getting lost as it does in the film's 2 hour, 17 minute running time. It's a simple tale of one psychologically damaged man's ill-fated quest to find meaning in all the wrong places. But the epic length of the movie combined with Anderson's undeniable skill as a director are a temptation to over analyze "The Master." The film is so good in parts, you don't want to admit that maybe Anderson the screenwriter doesn't have as much to say as Anderson the director thinks he does, which becomes obvious as the final third drags slowly to a close. "The Master" is less than the sum of its parts. It's filled with beautiful scenes, first and foremost a long and complex tracking shot of Freddie as he walks along a pier to Lancaster's boat, with Lancaster and company visible dancing on the upper deck. And the acting is superb, especially from Hoffman, who can go ahead and clear his schedule for the Oscars. For anyone who wonders how some people can fall so thoroughly for seemingly obvious con men and snake oil salesmen, Hoffman has the answer. Lancaster Dodd is egotistical and can't tolerate being challenged, but he's also charismatic and genuinely cares about helping others, even if that's mostly because he regards their failures as his own, which he can't abide. What Lancaster isn't is a caricature, and Hoffman never lets him become one. Some of Lancaster's early auditing sessions even seem to help Freddie — for a while, anyway. Equally good is Amy Adams as Lancaster's wife Peggy, whom Anderson has cast in what amounts to a Lady Macbeth role. Where Lancaster is sentimental, Peggy is practical and in control. When Freddie's presence becomes a distraction, she's the first to say he needs to go. As for Freddie, Phoenix plays him broken physically as well as emotionally. We're never told he was injured during the war, but Freddie moves like he's pieced together out of other bodies' parts, a kind of Frankenstein monster demanding answers from a father figure who has no answers to give. The acting and direction are enough to recommend "The Master," but if you're looking for great truths and insights, you, like Freddie, are looking in the wrong place. That seems to be the punchline; there's no more meaning here than there is in Lancaster Dodd's books. Maybe that is the only point Anderson is trying to make.